Filing for Social Security Disability Insurance (SSDI) is often the only option one has if they are disabled due to something other than a work-related injury. This is particularly true if the claimant lacks private long-term disability insurance. While it may seem simple, the process tends to be tedious and drawn out. It can be months or even years before claims are approved. 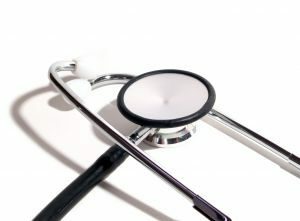 The typically claimant will go to their primary care physician (PCP) or other specialist when they are no longer able to work due their respective disability and get a letter stating the doctor’s opinion that they are disabled. Many doctors are familiar with the letter-writing process and will use the appropriate terms like the claimant is unable to lift items of a certain weight and the doctor may even say the claimant cannot engage in substantial gainful activity due the disability. The doctor has no question his or her patient is genuinely disabled so they have no issue writing such a letter in many cases. The definition of not being able to engage in substantial gainful activity means that a claimant is unable to earn a certain amount of money each month. This amount changes from year to year but is around $1,120.While it seems like this should allow for a quick approval of Social Security disability benefits, as our Boston SSDI attorneys can explain, things are rarely that easy when dealing with SSA. Whenever a claimant works, they have taxes taken out of their paychecks, but some of this money does not actually go the U.S. Treasury General Fund with the rest of the tax money. Some of this money goes to the various funds managed by SSA. There is the Old Age and Retirement Fund that is used to pay the Social Security benefits when claimants reach the age of retirement and there is the disability fund. This money that goes into the disability fund is used to pay SSDI benefits. In order to qualify for SSDI benefits, the claimant must have worked the requisite number of fiscal quarters prior to the date of the onset of disability. The number of credits required will depend on the claimant’s age at the date of onset of disability since one’s work history is supposed to longer for a claimant who is 40 than a claimant who is 19 years of age when applying for SSDI benefits. Once the initial application is filed, it will likely be denied. This is not because the claimant is not disabled, but rather because SSA is constantly running out of money due to Congress not providing enough money in the budget. The majority of all applicants are initially denied. The next step in the process is to file a request for reconsideration. This is typically done online, but this is a cursory review and the initial denial will often also be denied. The next step on the appeals process is to file an appeal and request for review by an administrative law judge (ALJ). An ALJ is supposed to be a neutral arbitrator of fact, but they work for SSA and are not often so quick to approve benefits. This is especially true for claimants who are not represented by an experienced SSDI attorney. There is however, no reason that a claimant should not hire an experienced attorney because the system is set up in such a way that there is no cost for representation unless the claimant is successful in obtaining SSDI benefits. If and when the claimant is awarded benefits, the attorneys’ fees will be paid from the retroactive benefits award dating back to the onset of disability through the time benefits were awarded. In Revels v. Berryhill, a case from the U.S. Court of Appeals from the Ninth Circuit, claimant appealed the denial of her Social Security Disability Insurance benefits application. She applied for SSDI benefits based upon her being diagnosed with fibromyalgia. Fibromyalgia is a condition that was not recognized as a legitimate medical condition for decades, but is now well known to be a very painful disorder that makes it very difficult for patients in any physical activity let alone engage in substantial gainful employment. While this condition was not always recognized, SSA issued a ruling that established fibromyalgia as a condition that results in a severe medical impairment. This ruling was handed down in 2012. When a condition is labeled as a severe medical impairment, it should allow the claimant to qualify for SSDI benefits on that condition alone if the claimant can establish they suffer from Fibromyalgia based upon the credible opinion of a treating physician. Some conditions are not listed as severe medical impairments, and can only allow a claimant to qualify in conjunction with other disabling conditions. These can be physical or mental health conditions, or a combination of both. When the claimant had a hearing before the ALJ, the ALJ denied benefits and claimant appealed for review before the SSA Appeals Council. This is a review at agency level, but the review is discretionary. If the council declines to hear the appeal, the claimant can file a case in the U.S. District Court. If that is not successful, claimant can appeal to the U.S. Court of Appeals. In this case, the appeals council agreed with ALJ and affirmed the denial of benefits. In the eventual appeal before the U.S. Court of Appeals for the Ninth Circuit, the court held that the ALJ and the appeals council had failed to follow their own ruling to treat fibromyalgia as a serious medical impairment and reversed the denial and remanded the case for further proceedings consistent with its opinion.